"I love my classes, love the energy! " I love my classes, love the energy! I especially love all the props we use for different dances. "I have only just started"
Just started these classes and everyone is so friendly. Its a brilliant way to learn to dance, have fun and celebrate being a woman with something to shake. "a new lease of life over the years"
"best things I've ever done"
"Just moved down to Devon"
Just moved down to Devon from Surrey and wanted a dance class to enjoy. I have found Chelsea's 50+ class on Wednesday and found the variety of dances is very good. The ladies welcomed me and are very friendly. I will definitely be keeping with this class. "I love going to class"
"It doesn't feel like exercise"
"Absolutely love going to Anne's classes"
Dance, Dance, Dance; Dance fit Makes You Wanna Dance! 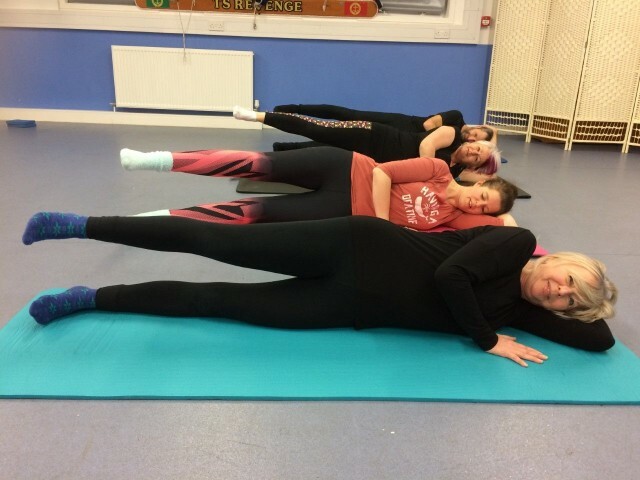 "Friendly group, and fun routines"
Enjoying Anne's dance fitness classes on a Wednesday night, joined wanting to improve my fitness level and the dance element has the added appeal. Friendly group, and fun routines, although still have to work on my co-ordination, can only improve! "made such wonderful new friends"
The best way to get hold of Anne is by email as she is likely to be taking a class when you call! © Copyright Dance Fit Devon 2018. All rights reserved.